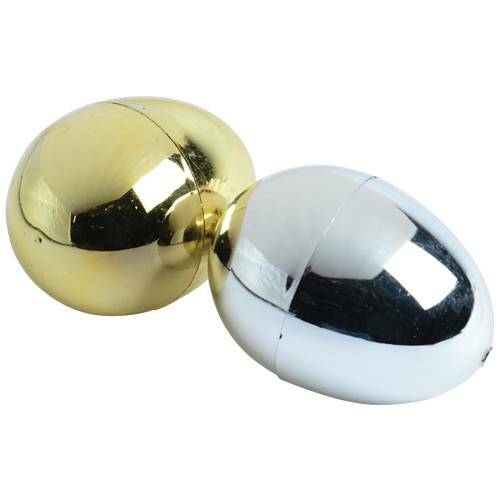 Make your next egg hunt something special with these jumbo gold and silver metallic eggs. These giant eggs are perfect for holding extra special prizes. They pull apart and easily snap together for easy filling. Kids will love collecting these in the next Easter Egg Hunt.